Time to rock the boat! We are on a quest to find a golden treasure which is not on a chest but in a bottle. Tell the captain the rules have changed and join our jolly crew on a rum-fueled adventure to discover some fine booty buried in the heart of the Caribbean. It all begun in the XVI Century after the Spanish introduced sugar cane crops into their colonies and people quickly discovered that molasses -the dark, rich, sirupy byproduct of the sugar refining process- could be fermented and distilled into alcohol. Some say it started in Barbados, some claim Brazil as the birthplace, but one thing is for sure, rum would soon be drank across the seven seas and even some cheeky landlubbers would embrace caña. Rum’s association with raiders and buccaneers has been both a blessing and a curse. On one side, it confers an appealing air of toughness and unruliness to the drink but then it makes it hard for people to appreciate its finer side. 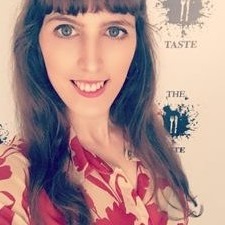 Think about how often you hear praise for high-end whisky while really good rum gets diluted in soft drinks, crushed ice and with some luck, a dash of Angostura bitters. But you don’t have to be a tall, strong, heavy sun-burnt old pirate with black, broken nails to understand this often underestimated spirit. Simply follow the novel’s advice and take your time to savour it. Rum tasting is not like wine tasting. Since the spirit almost triples wine’s alcoholic content, tasting it neat is as good as doing shots in a sophisticated setting. To truly get rum’s flavours and aromas you need water, and not just any water, for better results use top quality still water at room temperature. Tasting glasses will be ideal for pouring the drink, but white wine glasses might also do. Now, this is very important: if you are tasting more than one rum, make sure you add the same proportion of rum and water on each glass. One third of rum and two thirds of water will allow to get the precious nuances that rum’s powerful 40% AVB usually buries. 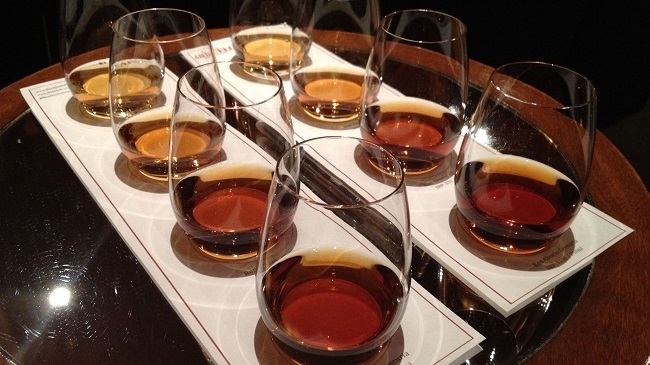 Regarding aromas and flavours that comprises rum’s tasting profiles, don’t look for berries, cherries or licorice. Molasses and honey will be a common base, sometimes even maple syrup. The fruits usually found are juicy and ripe peaches, apricots and mangoes along with dried orange and the occasional citrus kick. Wood, nuttiness and sweet spices will reveal a rum’s age and will differentiate the harsh booze of corsairs from the mellow nectar that top class distillers ship worldwide with pride. One is used to see whiskys that are old enough to vote but rarely a rum with a two-figures age. As Caribbeans are not known for living in a hurry, the reason for rum’s apparent youth has to do with the weather. Luis Figueroa, Rum Master with a wide experience distilling and promoting award-winning rums, explains that the weather conditions in which rum is made accelerate ageing, “a spirit left on a barrel for two years on a place with constant tropical temperatures will experiment more and faster reactions than one that is stored on a cold country”, therefore a whisky might take a dozen years to age while a rum will do it in a fraction of that time. So when looking for complex and elegant rum, even two years make a big difference, let alone what a septenium can bring. At this exciting point we stand in front of a big red X: dig in the options below and you’ll find beautiful bottles that don’t need to be filled with parchment to send a clear message: Rum can be elegant and tasteful. But beware! The first one that gets caught mixing this loot with cola is going to be the next to walk the plank. An ultra premium amber wonder from Guatemala. It’s made with a selected blend of rums up to 23 years old and it has won so many gold medals that the makers should consider putting them in a chest and burying them. It was created to commemorate the centenary of the founding of the Guatemalan city of Zacapa and it’s made only with the juice from the sugar cane’s first extraction. This delicate liquid, known as virgin honey, is fermented and distilled and then poured into barrels (some of them previously held whisky, others sherry) where it’s left to age at over 2,300 metres above sea level, which calls for a longer but completely worthy wait. Taste it and toffee will cover your palate, toasted hazelnuts, vanilla and a just a touch of chocolate will unravel soon after. As an extra touch, each bottle comes surrounded by a petate palm ring, handmade and representing Mayan culture. The colour of maple syrup and rich as amber ale, this is one of Venezuela’s finest. Oaky and smooth, it is a drink of contrasts with a sweet attack and a surprisingly dry finish. In between, aromas of anise, dry plums, nutmeg and new leather share the stage. This complex and serious specimen is a blend of young rums with the Hacienda Santa Teresa’s mother rum. Ages 4 to 25 concur on it making it impossible to guess its age. 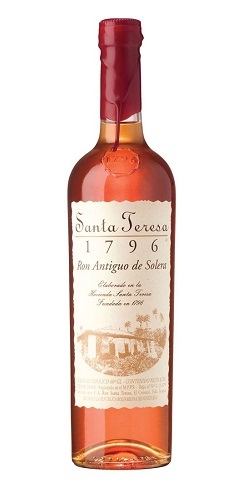 A timeless beauty made following the traditional solera method -traditionally used to make brandy and Sherry- and created to celebrate the 200 years of the founding of Hacienda Santa Teresa, hence its name. 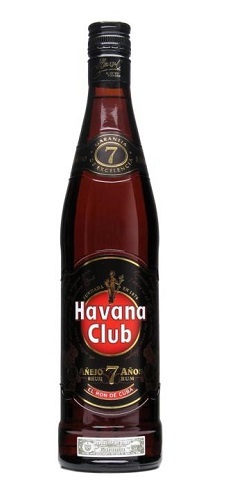 The Ron de Cuba is an admirable ambassador made with rums of a minimum age of 7 years and up to 14 (therefore even though it says 7 on the label, the result might be way older). No need to light an habano to feel the tobacco aromas with this rum around, nor to order dessert to enjoy the pleasantness of tropical fruit and vanilla flavours that emanate from it. 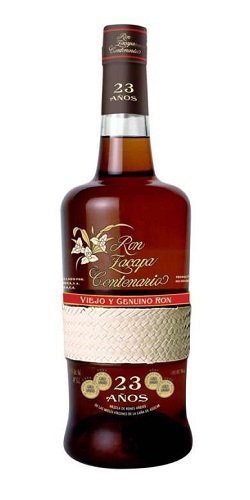 In this and many other bottles of good rum you’ll find the word añejo, it’s simply Spanish for aged. Rich and sophisticated but light enough to allow us to break the rules and mix it up in delightful cocktails. This rum is actually a favourite of mixologists thanks to how nicely it combines in drinks. Spicy blend from Trinidad and Tobago, aged in Bourbon barrels. Expect exotic fruit, cinnamon and honey. Jamaica’s premium rum, aged in oak for a minimum of 21 years. Floral and subtle, orange blossom and vanilla define it. From the same Guatemalan family behind Zacapa, it’s a blend of rums ages 5 to 18 that develope in Bourbon, Port and Sherry barrels. This dark and mighty creature was born in Barbados but released in Trinidad and Tobago, where young enough rums of 1 to 2 years of age, are boosted with a mix of 11 spices.